Setup Area: 8ft x 26"
These tables are sturdy, heavy helpers. 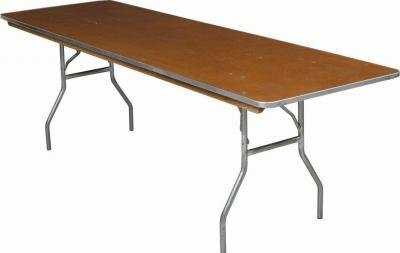 Anytime you need a table to help with the extra food, extra people and extra present holder these are your MVP's. Heavy and Sturdy, these guys can handle the heavy stuff! Pair these guys up with some chairs and you have yourself a party!